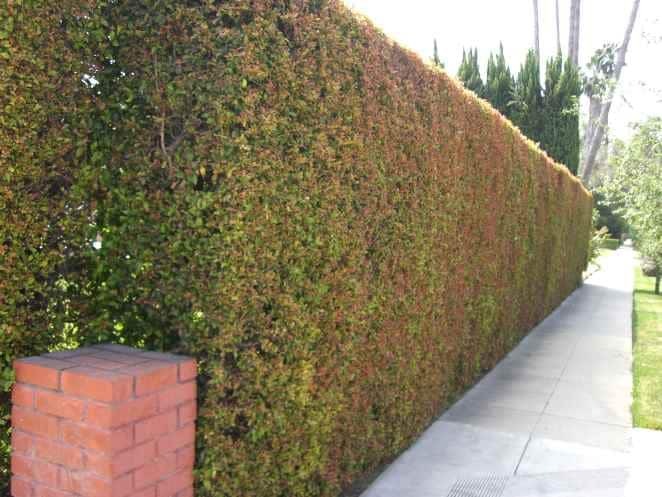 Usually clipped into formal hedges or shapes to around 20 feet high. 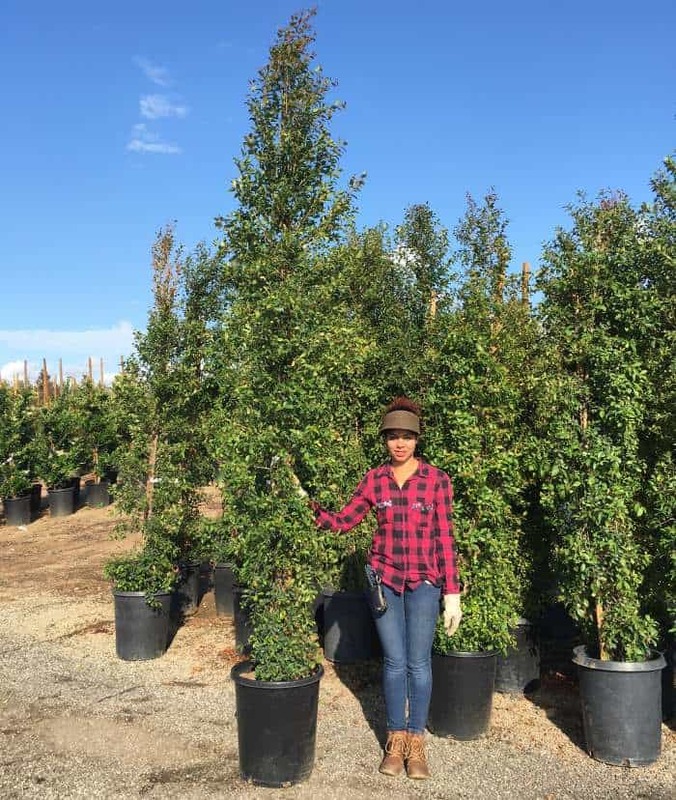 Unclipped, Australian Brush Cherry is a handsome, narrow-ish tree, to 30-60 feet tall. Eugenia is one of the ost popular hedging, background, and screening plants in mild and nearly frost free areas. Psyllids can be a nuisance, but are easily controlled. Brush cherry thrives in well drained garden soil. New foliage appears as brightly tinted red. Its fruit is rose purple, showy, and edible.